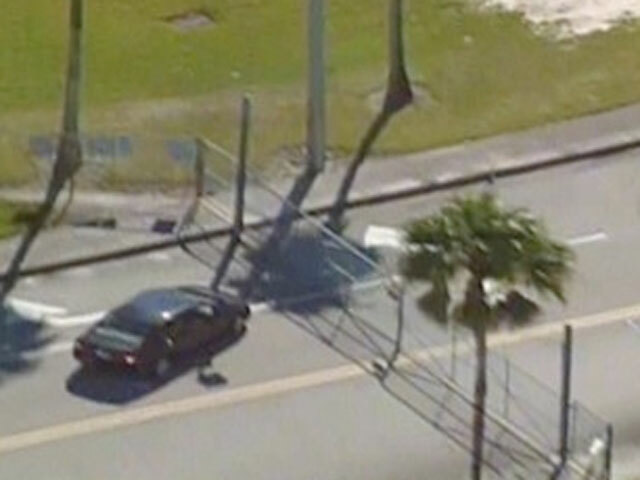 PEMBROKE PINES, Fla. (CBS/WFOR) All public and charter schools in Broward County, Florida's second-largest county, have been placed on lockdown as a precaution after receiving a threat. According to CBS affiliate WFOR, police said early Wednesday morning that a woman called a radio station to say her husband was going to respond to a school in Pembroke Pines and start shooting. While police were not able to confirm the threat, they ordered a lockdown of all schools as a precaution. Students were brought in from all outdoor activities and gates to seal off entrances to the schools were closed and locked. In addition to the threat, Pembroke Pines police said an email was also sent stating that "something big was going to happen" around government buildings in Broward County. The Broward Sheriffs Office, Broward Schools and other county, state, and federal agencies were notified and a lockdown order was issued for all schools in the county along with work sites and all school facilities including the School Board building. Police stress that these lockdowns are strictly precautionary while they investigate the source and credibility of the threat. All children in the schools are said to be safe, but school board officials haven't decided when to let children leaves schools this afternoon. The Broward County Public Schools is the sixth-largest public school district and the largest, fully-accredited public school district in the country with nearly 233,000 students.